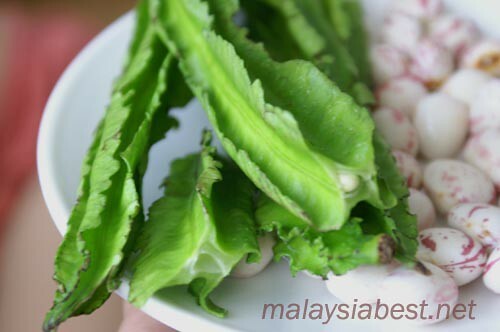 Kacang botol or four-angled bean is a creeper plant that grows easily. Many of our homes will plant them along our fences. It is nice when we get to go to the backyard and pluck some fresh vegetables for our cooking. ~sigh~ Those were the days…. The above green vegetable is the four-angled bean. The pink coloured ones is another type of bean which I will post pictures later. Four-angled beans can be eaten raw as it is crunchy, crispy and does not have strong ‘green’ smells. 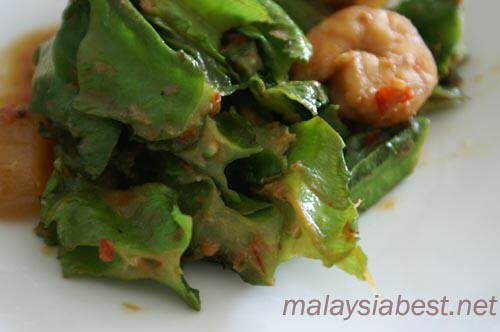 Normally, the Malays will serve kacang botol with sambal belacan as ulam. However, I prefer to fry them with sambal belacan. A quick stir will do as over-cooking will cause the crunchy beans to become limp. 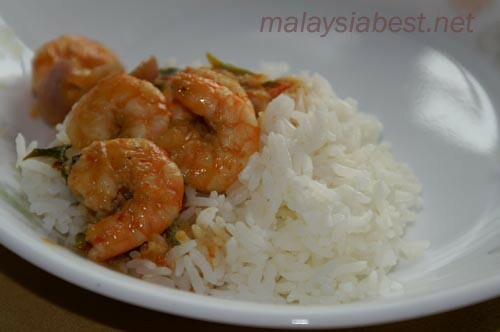 Actually, I cooked some sambal prawns last night and have left-overs. So, I added in the beans today to make a dish on its own. Just for fun, I am blowing up the photo of the prawns. It is actually very small prawns, or called shrimps. Nice thing about a DSLR camera is the excellent resolution. I can crop just a tiny part of the photo and still can enlarge to get huge photos. Fry the onion, garlic and sambal belacan till fragrant. Add in prawns. Stir till change colour. Add in beans, lime juice and a bit of water to make the dish moist but not watery. However, my original ingredients were much more complicated. I added lemon-grass, kaffir lime leaves, coriander leaves and a table-spoon of cincaluk. I also fried the prawn shells and head (without oil) and blend in the blender with some water. Strain the juice and pour into the cooking. It tastes heavenly! Great pictures The food looks delicious. I will have to look for the four angle beans next time I go to the market. 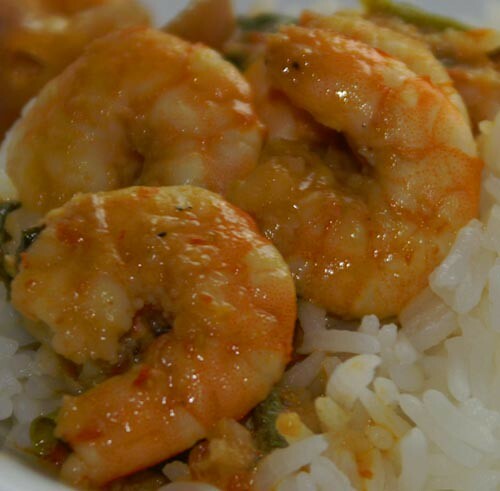 I use a chili paste called Sambal sometimes, it is pretty hot, is that the same thing you used with the shrimp? in our house where no one eats cincalok, your cincalok chicken stir-fry has become a favorite, they just don’t know what’s the secret ingredient! You just reminded me of one of the many favorite dishes my grandma makes.. sambal kacang botol. You were right, I remembered how we used to just get some kacang botols from the neighbor who had them growing along their fences (cornerhouse)… so plenty of them to go around the block! I wonder if I can even find them around NY and/or Toronto? Yum! Kacang botol is my fav – this inspired me to get some of it that day.